We began in the highly competitive Jacksonville, FL market where security is critical for a wide range of growing high tech firms, office buildings, hospitals and more . 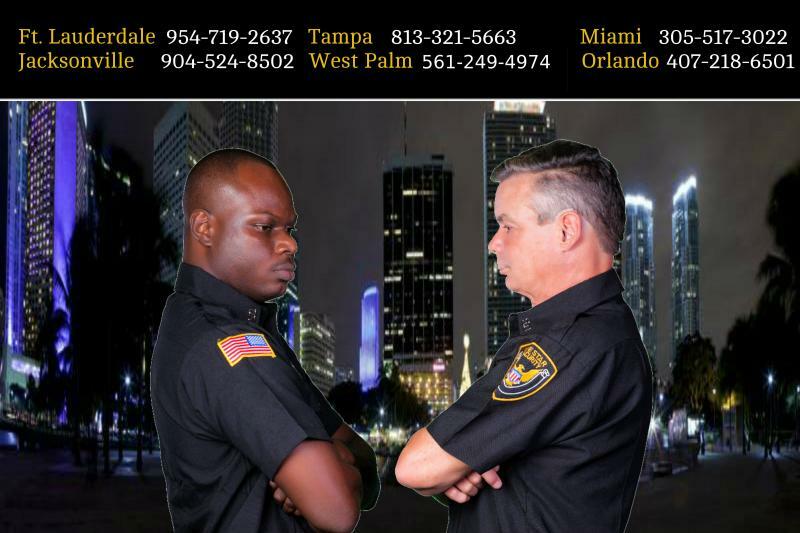 We now have security officers across the state of Florida: Jacksonville Florida, Orlando Florida, Tampa Florida, West Palm Beach Florida, Fort Lauderdale Florida, Miami Florida. Some of our clients are very large corporations, while other are small local owned. However, each client receives the same dedication and excellent customer service. No matter where or who we serve we strive to be the most responsive security service firm in the nation. We are committed to integrity. From training officers new to the industry in security basics to retraining currently licensed officers, our orientation also focuses on customer service. We have a strong commitment to our employees. We expect our employees to be known for their moral character, commitment and competence. Our officers must comply with our drug free and safety policies. Copyright 2007-2013 Five Star Security, Inc.